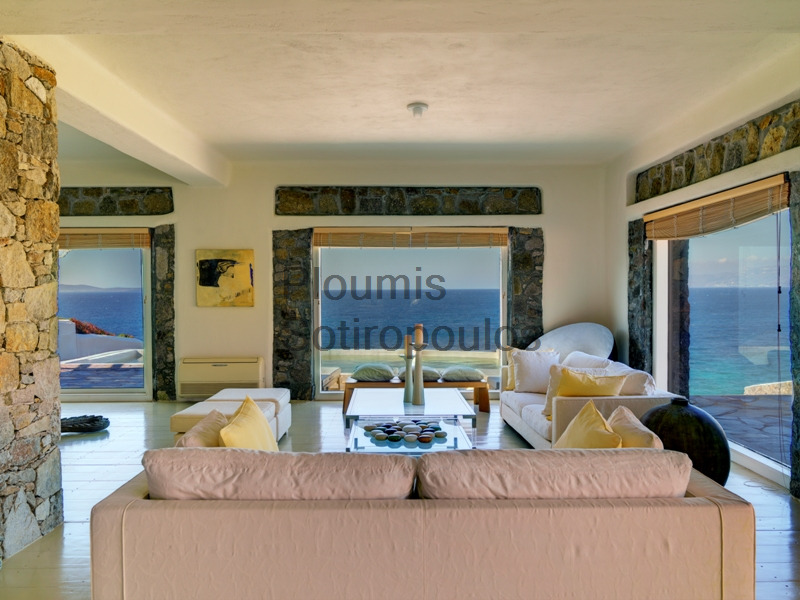 The famous Mykonian light dominates this extraordinary villa which boasts direct access to a beach and unsurpassed views to the islands of Delos, Syros, Tinos and to the sunset. 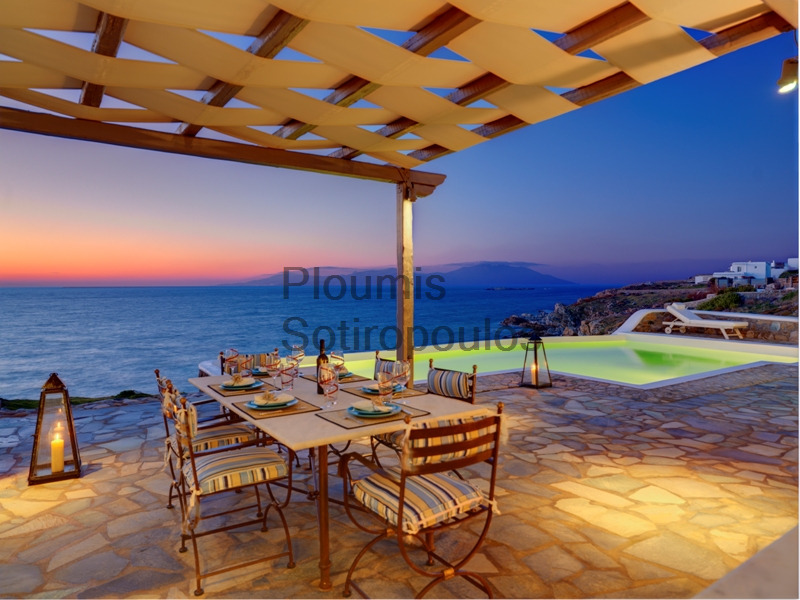 Clean architectural lines and large rooms form the structure which measures 472m² and is set on 1,248m² of gardens. 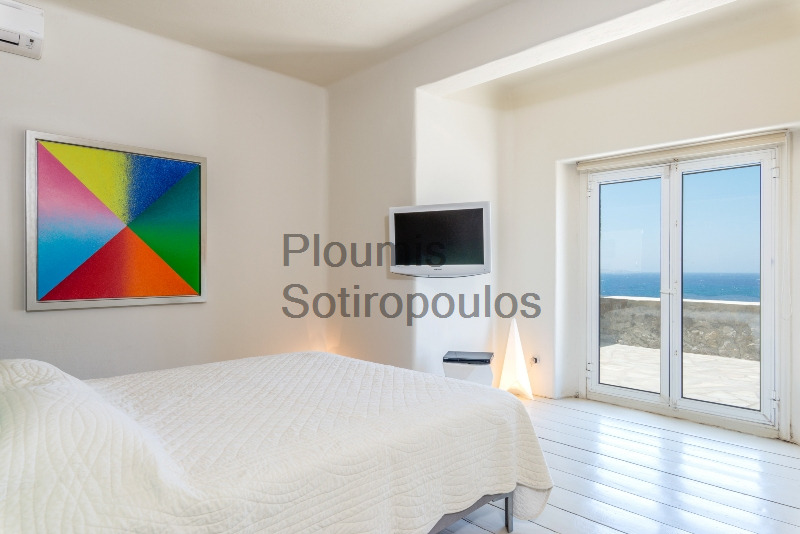 The ground floor consists of the main reception area with a living and dining room, a fully equipped kitchen, two guest bedrooms with ensuite bathrooms, an independent maid’s studio, a guest WC and a laundry/storage room. The upper level features two more bedrooms with ensuite bathrooms, while the master suite is situated on the top floor and enjoys an oversized bathroom with large windows and breathtaking views. 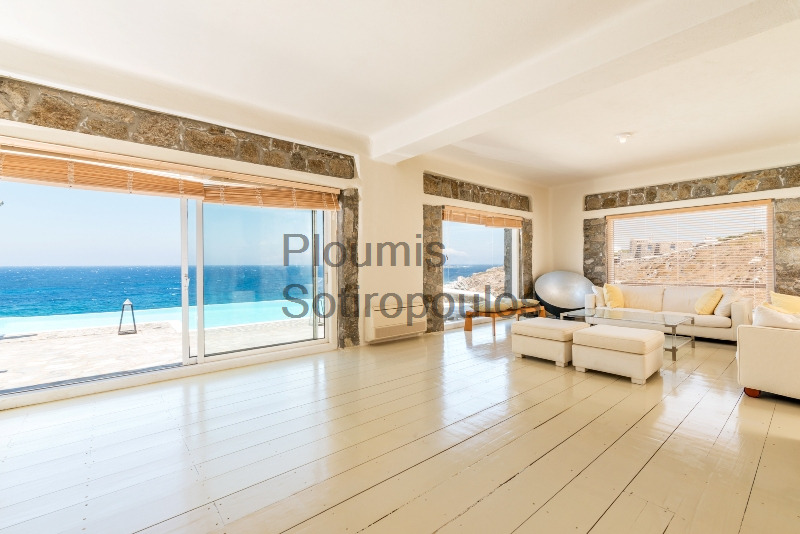 Other features include loft-type wooden floors with broad planks, panelling of local stone which harmonizes with the whitewashed walls, sophisticated lighting fixtures, air-conditioning and heating. 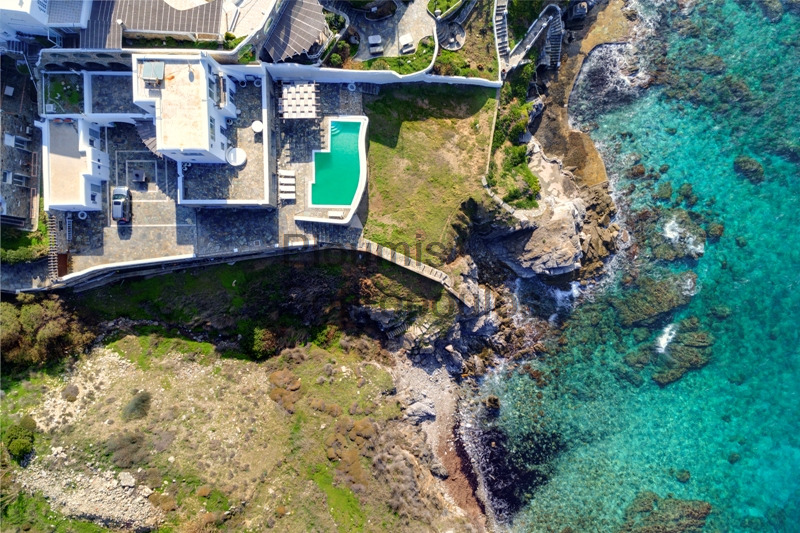 Large terraces and a patio surrounding the house form an impressive setting for the overflow swimming pool as well as for covered outdoor living and dining areas. Stone steps lead from the garden to a small beach, one of the very few private ones on the island. 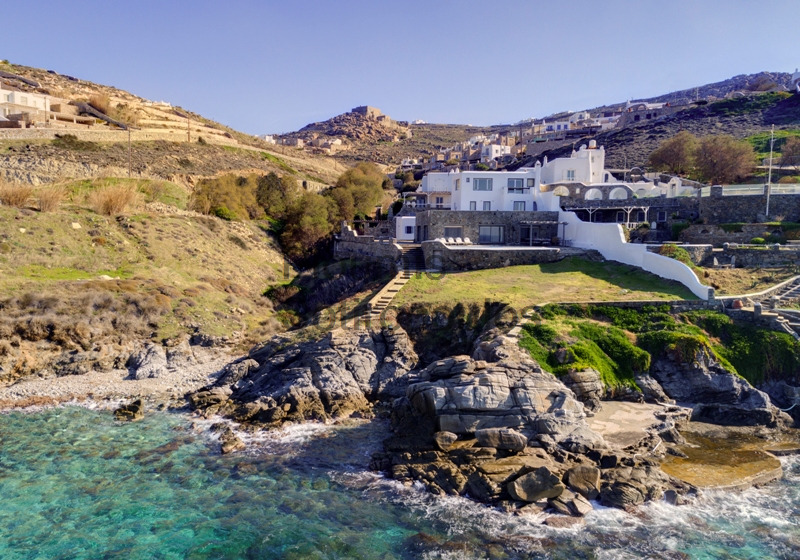 Only ten minutes drive from Mykonos Town and the airport, this is a rare property which is ideal for entertaining as well as for quiet family living directly on the sea.